It’s rare that a cheese that’s so hard to find as Serra da Estrela, from the eponymous mountains in the heart of Portugal nevertheless has so many fans. A pilgrimage to its origin had long been high on my list – and it’s finally happened! Yes, the wonderful TCP/ARPT Centro de Portugal team in Viseu organized my trip and paid for it, and yes, I wholeheartedly and with great conviction recommend you to travel to Coimbra, Viseu or Manteigas at the very next opportunity. I staid at the beautiful Casa da Ínsua (which has its own wine estate and cheesemaking!! ), and wish I’d had a whole week at Casa das Penhas Douradas to indulge in the Scandinavian inspired elegance 1500 meter above sea level (their breakfast alone is worth the trip). 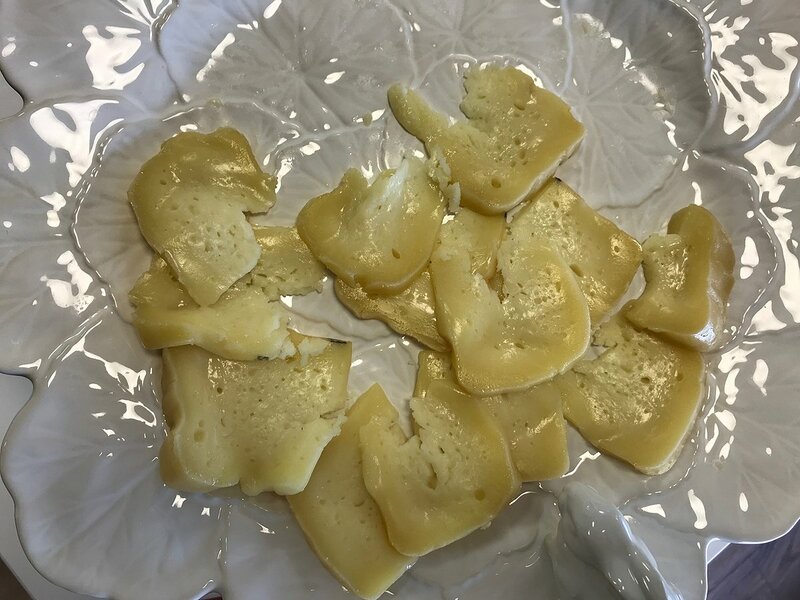 What impressed me most, however, was the deep connection between the cheese and its origin, which still clearly recognizable. This gorgeous cheese represents history you can smell and taste, and of course my four days in its company were too short to explore everything. Because I had to return to Berlin after all, my suitcase full of cheese, to my Heinzelcheesetalk friends and to my desk – even Heinzelcheese does not travel exclusively for pleasure, and this kind of good life can also become a bit too much (yes, this will be a longer read than usual, and you better get up now and pour yourself a nice glass of wine and get some cheese). 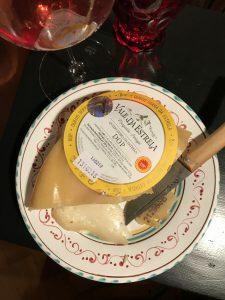 Serra da Estrela is a rich, indulging cheese for special occasions, to which you treat yourself for Christmas or Easter, I was told again and again. Sweet-savoury, udder-warm sheeps milk, the animals of the old Bordoleira breed invariably milked by hand, the milk coagulated by adding the dried flower petals of wild artichokes instead of animal rennet, the curd worked by hand and matured for a long month – at that point Serra da Estrela is best eaten with a spoon, dancing over the palate with pronounced, self-assured acidity and an inspiring touch of bitterness. Real aficionados prefer it „velho“, old, after at least 120 days, when it’s turned into a hard, crumbly (but not dry) cheese which strides across your palate with a certain gravitas, taking its time to impregnate your brain and soul with the pictures of this impressive landscape. 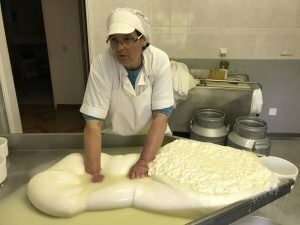 Serra da Estrela (there are a few related cheeses in central Portugal, like the one from Gardunha – but Estrela has the most pronounced character, being the „original“) is a shepherds’ cheese. Not even three hours after milking, the small wheels are lined up on the maturing room’s wooden shelves – shepherds need to get back to their flock! And it’s also a migrants’ cheese, the result of ancient nomadic transhumance routes. From the entire Iberian peninsula, from Madrid in the east to Alentejo in the south and from the Atlantic coast shepherds in summer used to take their animals up to the high (and therefore green and luscious) mountain pastures. They brought along salt from the sea and thistles from the south, and altogether, with their flocks, a lot of wool. Serra da Estrela wool and the Burel felt cloth made from it were in huge demand until the mid-1900s – the mountain streams had more than enough water to clean the fleeces and the dried seedpods of a different kind of thistles, cardoons, provided the tools to brush them (until today wool is being „carded“ – and no, unfortunately I did not make it to Burel Factory, a modern revival of the old wool factories, to my regret). We drove from Seia on the western foothills up into the mountains, from flowering orchards to pine trees and eucalyptus, followed by gorse and grass, still black from last summer’s devastating fire storms; until we were finally surrounded by rocks and stones. Torre at 1993 metres is Portugal’s highest point, and even in early May, the ground was still covered in snow. I had a hard time connecting this landscape with the luxurious cheese, but then the road wound down into the Zêzere’s glacial valley towards Manteigas, the first pinkpurple heather flowers popped up, there was the delicate green of fresh birch leaves next to pine trees, and waterfalls provided a soundtrack of fresh energy. 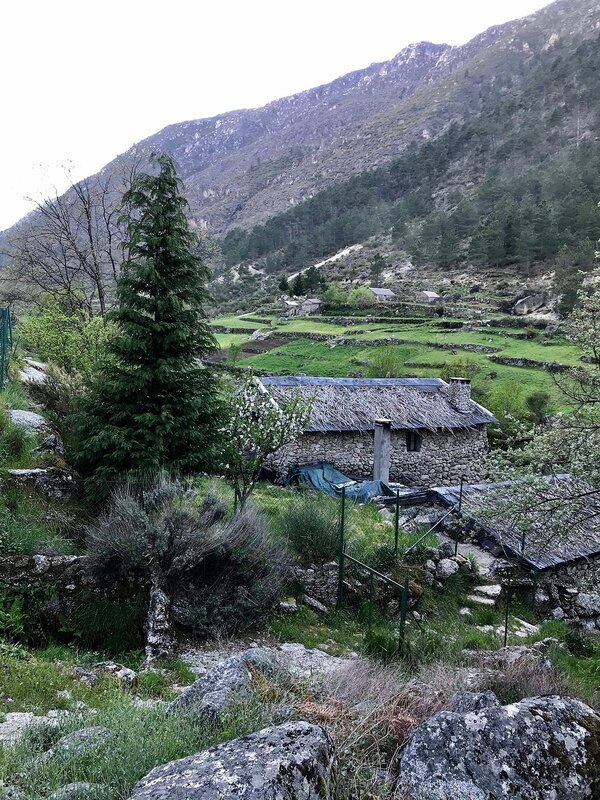 An idyllic setting, complete with stone huts, pastures, and sheep! Her cheese is truly gorgeous, but is this a sustainable business model with a future? She tells me that her daughter is quite interested in cheesemaking. However José the shepherd who I’d met the previous day and who looks after 90 sheep and a few goats, was adamant that his 14 years old daughter should have a better life when she grows up. Who is going to provide us with really good Serra da Estrela cheese then? 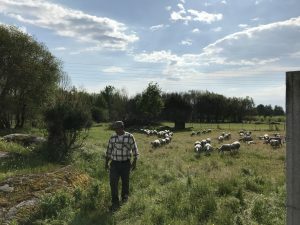 A fellow producer, Vale da Estrela in Mangualde, has been adopting an even more groundbreaking approach. Jorge Coelho was a minister and entrepreneur, and he lives in Lissabon. He remembered how as a small boy, he used to visit shepherds and cheesemakers with his grandfather, a cheese merchant and affineur. In order to contribute to his home region’s infrastructure, together with his CEO Luis Ferreiro, he recently built a modern facility on the town’s outskirts within a year. The structure of their business is innovative: the milk is provided by 34 shepherds on the basis of year-long contracts guaranteeing reliable and generous prices, and through the large windows I watch a group of women of various ages working the milk in the creamery using exactly the same gestures and methods I saw at Ínsua and Maria Natália Lopes. 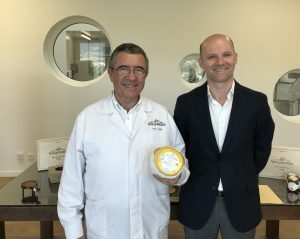 A seal on the label vouches for the PDO standards (the European Union’s origin label), and Ferreira has enough cheese at his disposal to dabble in the high end of export; in Marie Cantin in Paris he has found a first partner at the very top of the cheese world. Just like José Matias (who is a close friend of his) Luis Ferreira pleads to cut even the young, soft cheeses into „regular“ wedges instead of spooning them out. They argue that otherwise a lot of aroma and texture gets lost, and all I can do is repeat their plea. And say how happy I am that somebody is willing to explore and risk new ways to forge a future out of the past. Obrigado!